The 63-year-old chain is undergoing a digital reinvention, led by a hilarious YouTube series with more than 170 million views. It was 1953 when Harold Butler and Richard Jezak opened a stand called Danny's Donuts in Lakewood, Calif., that promised to serve the best coffee and donuts—and to stay open 24 hours a day. Sixty-three years later, the restaurant chain known as Denny's has become synonymous with family road trips, senior discounts, Grand Slams and doors that never close. Over the decades, the company has also gained a reputation for sometimes shabby decor and hit-or-miss service. President and CEO John Miller assured investors in a Nov. 1 earnings call that an ongoing brand overhaul means "enhancements to our menu and atmosphere, and improved execution for our guests." Same-store sales were up only 1% in the third quarter, while the casual dining section suffered nearly a 2% drop. The company did manage to complete 62 remodels and open 13 new restaurants. 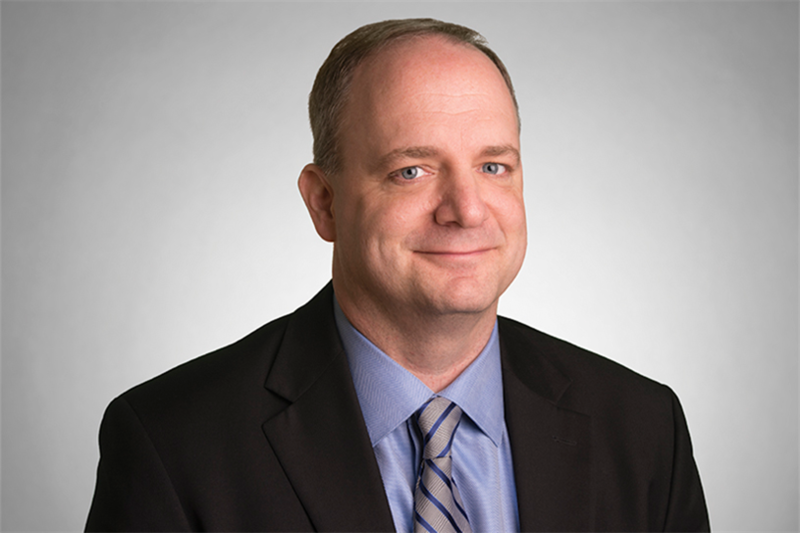 John Dillon, who became Denny's CMO two years ago, has also come a long way in growing the classic chain's digital footprint, particularly on social media, where it has found success with digital video like its "Grand Slam" YouTube series, which launched last May. For the series, which has been viewed a cumulative 170 million times, the brand worked with Stoopid Buddy Studios, the creators of TV show "Robot Chicken," and creative AOR Erwin Penland. Denny's takes a lighthearted tone online, and often incorporates current events into posts—a nod to its positioning as "America's Diner." Last week, the brand took part in the social media craze #MannequinChallenge. In July, Dillon put the focus on the chain's food quality with a campaign touting 50% fluffier pancakes. The relationship with Penland dates back to 2007, when the brand tapped the South Carolina agency for project work. At the time, Denny's AOR was New York's Gotham. Penland nabbed the account full-time in 2013. Campaign US spoke with Dillon about the thinking behind the animated videos, its success with video spoofs and why Denny's has earned the label "America's Diner." What was the inspiration for the animated series? Millennials make up one of our largest customer segments and while they love Denny’s for a number of different reasons, we were starting to notice that the most iconic menu items, The Grand Slam, which has been around since 1977, was losing some relevance amongst our younger guests. We wanted to find a way to reintroduce our famous dish to millennials, but do so in a way that continued to be aggressive in positioning the Denny's brand in an interesting and relevant way for this audience. We knew that if we were going to be effective in reaching Millennials in particular, we needed to engage with them on their terms and in their terms. We wanted the series to take on a humorous tone because the audience can relate to that. That encourages the audience to not only enjoy the videos, but pass them along to friends and family, and that's exactly what we've seen. It's made the Grand Slams and Denny's even more part of pop culture. What we're proud of is not just the impressions, but the completed views. These are not short videos. They're averaging a minute, minute and a half. People watch them all the way through. It just shows the videos are truly engaging with the target. Who is your favorite Grand Slam character? I would say Pancake. Who doesn't love Pancake? He's big and fluffy, right? He's got a good attitude about him. What's not to love? How would you describe Denny’s overall approach to social? In a Denny's restaurant, there are people talking about pop culture events and what's going on in the world. Our strategy from a social and digital media standpoint is to bring the idea of the diner booth and the conversations that happen in a diner booth into the social and digital space. That's the idea behind, not only the work itself with Grand Slams, but also the topics that we focus on in the episodes. How does Denny's voice differ from competitors IHOP and Applebee's? The restaurant space is a crowded one. Very competitive. We have a lot of smart competitors who are doing a lot of great things. We believe as "America's Diner" we have a distinct positioning, a differentiated positioning in the market place and one that allows us to have fun in our marketing, but also stand out to our guests. I think you see that in the personality that comes out in the work. In July, Denny's came out with a new campaign centered on 50% fluffier pancakes. How has the response been? We've definitely been pleased with the campaign. The number of our guests ordering pancakes has definitely gone up, our satisfaction rates have gone up and people are engaging with our pancakes and our brand in a way I'd say we're definitely pleased with. We purposefully launched a 50% fluffier pancake with real buttermilk, fresh eggs, and a hint of vanilla. It's based on the fact that our pancakes were OK, but we wanted to make sure we were serving our guests the best pancake possible. 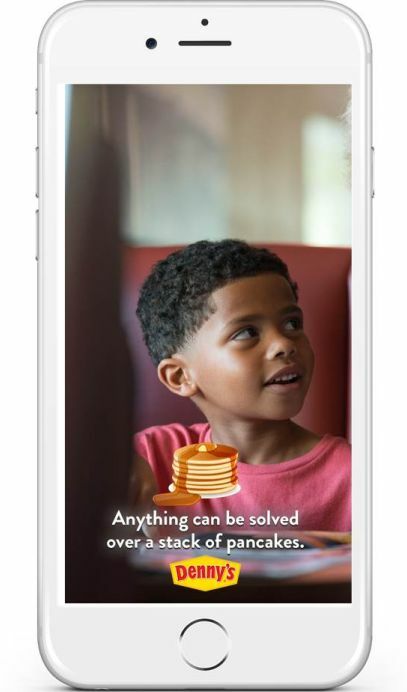 That campaign represented the company's first foray into Snapchat by using custom pancake geofilters. Why hold off from advertising on the platform? We knew we weren't first to the Snapchat space, so we wanted to do it right and do it in conjunction with something that was strategically important for us like pancakes. We held off a little bit to do it right, and I think clearly the engagement numbers we've seen on Snapchat have been very, very, very impressive. As part of this campaign, Denny's made a spoof of an "unboxing video" on YouTube, featuring the "Fork Pro," which had longer prongs for the fluffier pancakes. One video received over 1.3 million views, and is Denny's second most-viewed YouTube video. Why did this video performed so well? It was a spoof on boxing videos, but it was a respectful spoof. I think that's why it did so well. It showed the target that we understand what they like to see. What they're watching. When we talk about Millennials and Generation Zers, that's the kind of content that's on YouTube. That's the kind of content they can see continually. It uses Denny's tongue-in-cheek tone. We got a lot of positive feedback and attention on that. For us strategically, it talked about our menu item—it's a fluffier pancake, and you're going to need longer prongs. How do you market to a new generation of Denny's fans without alienating your loyal older customers? The beauty of the diner is all different generations or walks of life are in our restaurants at any time of day enjoying food and connecting with each other, and then it's a unique space to play in. It's a challenge. While we target Millennials, we also realize how important boomers are to us, and we create activations for the Boomer generation as well. Denny's spent about $64.9 million on advertising in 2015, according to Kantar Media. This is a third of what Applebee's spent, at $162.3 million, and less than the $86.1 million IHOP spent. Why the significant difference there? It's not necessarily where we can spend the most money, it's how we can spend that money most wisely. What is the brand's goal today? We really want to disrupt some perceptions of the brand. We're a 63-year-old brand. We need to make the brand not just relevant, but even more significant in the lives of our guests and potential guests. Any crowded space like the restaurant industry, you do need to be a little bit disruptive in how you treat things. You need to give your partners, and those that work on your team, license to play in that space and that's exactly what we have with our marketing team and with Erwin Penland. Since consolidating all creative business with Erwin Penland in 2013, how has the relationship shaped the brand for what it is today? Yeah, the folks at Erwin Penland are fantastic partners. They've always shown how much they get our guests and they get our brand. They are truly trustworthy partners and I consider them as extensions of our marketing team versus an agency. I think that relationship works very well like that. What is the best thing you've overheard at a Denny's Diner? It happened just last week. I was sitting at a booth and I heard the table next to me talking about what they had seen on our Tumblr page. They were talking about the work we're doing in the social media space and the fact that it led them into a Denny's. When you overhear a conversation like that, as a marketer, there's no greater feeling than hearing guests in your restaurant talk about what they saw on social media that drove them into the restaurants. Everybody's struggling with how to measure the impact of social media.